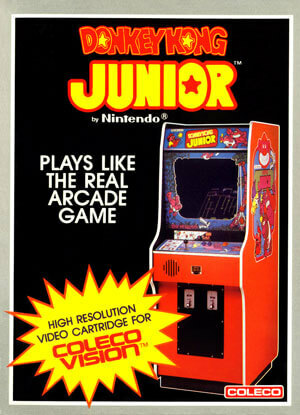 Mario will send out Snapjaws, swooping purple birds, and electric sparks in an attempt to stop Junior. 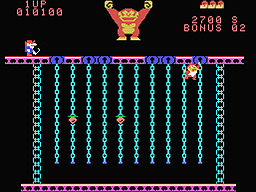 Junior can defend himself by dropping fruit found around the levels on the heads of his foes. 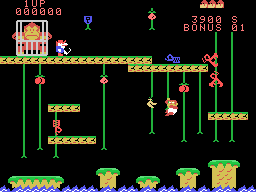 The more foes a piece of fruit hits in a falling sequence, the higher bonus points can be scored.